A person familiar with the negotiations told The Associated Press that Tennessee was no longer pursuing Ohio State defensive coordinator Greg Schiano to be the school's new head coach. The person spoke on condition of anonymity because none of the negotiations were intended to be made public until a deal was reached. 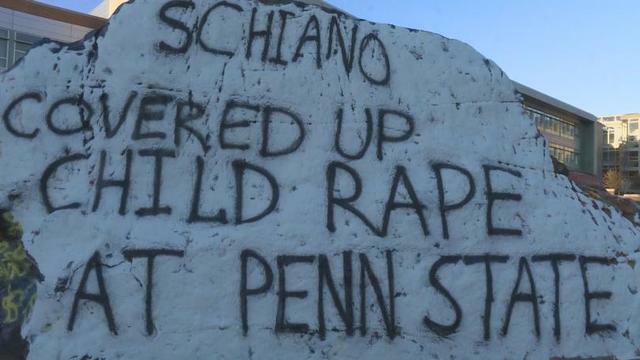 The school and Schiano were close to an agreement earlier Sunday, but the school backed out after widespread backlash that included a protest on campus and complaints on social media from fans, state representatives, and gubernatorial candidates. Their complaints stemmed from Schiano's background as an assistant at Penn State during Jerry Sandusky's tenure as the Nittany Lions' defensive coordinator. Sandusky has been serving 30 to 60 years in prison for his conviction on 45 counts of sexual abuse. Reports stated multiple people were protesting the move in Knoxville. A rock on campus has even been marked with graffiti in protest. Several politicians also spoke out against the potential hire on Sunday.